This is an uncharacteristically sentimental post, but perfectly timed as I'm leaving to go back to the states tonight. When we decided to come to Singapore, some people were excited for us, some wanted to come too, and others thought we were completely nuts. We had actively sought out an overseas assignment, so it didn't even occur to us to turn this one down. So on April 21 of this year, I took Sophia and Cooper out of school so we could join Jason in Singapore. They didn't finish the school year, and instead we spent the time exploring Singapore. It has been the most amazing experience of my life. Not because I'm in another country, but because I've spent almost every minute of the last 60 days with my kids. I always knew they were fun but I have been able to appreciate their uniqueness on a whole other level... Cooper's quick wit, Sophia's love of nature, most of all their love and respect for each other. It has been a gift. A really, really fun gift. I have never felt so close to my children. It helps that they are at an age that it is easy, and honestly, really interesting, to hang out with them, but I have to wonder why a lot of parents don't really seem to want to spend time with their kids anymore. So many people assume I must be going crazy, being with them so much. Rest assured, I am in complete control of my sanity. Alas, when we get home I will be forced to share the kids with the "regular" world again. I am looking forward to seeing all of our family and lots of friends, but honestly will miss this special time. At least I can look forward to having them to myself for a 23 hour plane ride home tonight. Even if I heard them arguing about who gets to sit next to dad. I guess they are the ones who need a break from me! See you in August, Singapore! When I was in my early 20's, I worked for a tiny company that sold long distance calling cards (thanks, Dad, for getting me yet another summer job!). I worked with another girl, Michelle*, as an admin for the owner. We really had almost nothing to do. So much so, that we would take turns taking afternoon naps under the desk in an office. (Remember, I was in my early 20's...I was often "tired" at work). Luckily, we never got caught, although I'm sure my boss wondered from time to time why I had a weird carpet pattern imprinted on my cheek. *Side note: Michelle was the high school best friend of one Ryan Phillippe, actor and former husband of Reese Witherspoon. While we worked together, she actually went out to LA to visit him. I think he was on a soap opera at the time. Random! That was a long time ago, but this at-work napping practice is alive and well here in Singapore. Jason took this picture of a guy sleeping in the truck. The picture I cannot find but truly demonstrates what I'm talking about, is of a whole crew of landscapers napping on the sidewalk in front of our neighborhood, along a very busy road. When I first saw this, it kind of shocked me. But like everything else different here, it's just no big deal anymore. Apparently, when it's your turn to take a break, you just stop, drop and sleep. So much so, that I had to walk over a guy sleeping in a stairwell on the way up to the doctor's office. I swear he was snoring. Unfortunately, we also caught our neighborhood security guard sleeping on the job when we returned late at night from Bali. Jason had to jump out of the cab, reach into the window, and push the gate button unbeknownst to said sleeping guard (who I have now gotten to know, we will call him Mr. H to protect his identity). He's really nice and says "HELLO JENNY!" very loudly when he sees me. Why he shortened it to Jenny, I don't know but I don't mind for some reason. And my other favorite guard is named Robin. It's like a sleepy Villa Delle Rose superhero team. As far as I'm concerned, I have nothing but the utmost appreciation and a slight bit of nostalgia for catching some shut-eye midday. And I have a feeling it has nothing to do with having too many Tiger Beers the night before. When I started writing this blog several months ago, I never expected to write a story about feet - especially not my own feet. I'm sure many of you are questioning whether to continue to read this particular post or skip it and check back next week for something less....weird. Trust me, it's actually a pretty interesting story. Since watching the Anthony Bourdain show, "The Layover, Singapore", I've wanted to check out one of Singapore's Fish Spas to let these little Doctor Fish do their job and nibble away at my feet. Yeah, I know that sounds odd and kind of creepy. There are several of these spas located throughout the city, and though I thought it was an experience unique to Singapore (it's not something I had seen anywhere before) these spas apparently exist all over the world. In fact, I have seen them in Bali, the Philippines and India since arriving in Asia, and recently found out there's one in Alexandria, Virginia (of all places) for those of you in the US who are interested. All the same, it was an experience I wanted to have in Singapore and I was thrilled when Sophia said she wanted to give it a try as well. For those who know our daughter, you know that getting close to any animal is right up her alley. But there was something about having tiny fish nibble at your feet that seemed like something she would be opposed to. I don't know, I just assumed she would view the practice inhumane - or "infish" under the circumstances. All the same, she was very interested in trying it out, so we did just that during a very enjoyable Father's Day weekend. We decided to try one of the Kenko Foot Reflexology and Wellness Spas, which can be found in several locations in Singapore. 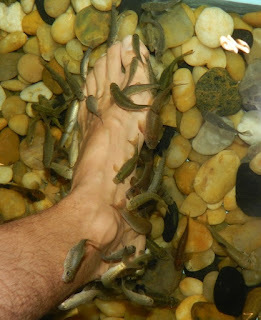 These are widely considered to offer the best fish spa experience - and quite honestly, reputation was important to me when planning to stick my feet in an aquarium full of hungry, flesh eating fish. We chose the location at Orchard Central because it had good reviews and we wanted to check out some of the surrounding area for lunch and shopping. 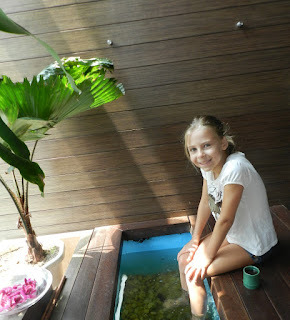 Upon arriving at 12:00 noon, we had the Kenko fish spa and several hundred Garra Rufa (Doctor Fish) all to ourselves. The room was relatively small, but contained two large fish aquariums, wooden benches, and a small jungle of potted plants to add to the ambiance. After having our feet washed, Jennifer, Sophia and I slipped on sanitary flip flops and chose a spot on the benches above one of the aquariums - each of us deciding to start with the tank of little fish. Cooper, far wiser and having no desire to stick his feet into a tank full of fish, sat back and watched. Now, when I say small fish, I'm referring to tiny fish - no bigger than maybe one inch long. The larger fish on the other hand, ranged from 2 1/2 to 3 inches long and were significantly more active. Sophia, only slightler more hesitant at this tank, stuck one foot into the water, and again the fish swarmed to her foot. This time, her foot came right back out and she giggled loudly at the sensation of these larger fish going after her toes. Soon, Jennifer and I tried the larger fish as well - though when I say "try", ﻿﻿Jennifer really only had her foot in for about 10 seconds (wimp), while Sophia and I spent several minutes with our feet dangling in the "big fish" tank. (Jennifer's note: This is accurate if 10 seconds to Jason is ONE second to me....one toe went in and immediately came out!) These larger fish really did up the ante. Not only were they larger, giving a more noticeable sensation as they rubbed against your skin, but their mouths were significantly bigger and they were more aggressive in pursuing "food". There were two or three who were obviously bigger than the others and both Sophia and I braced ourselves any time these mammoths swam toward our feet. After a a few minutes, however, the big fish "treatment" was really nice and became a massage-like sensation. We spent the remainder of our treatments hopping back and forth between the two tanks - all the while, Cooper kept us company and even took a few pictures to capture the moment. After completing the treatment, we washed off, dried off, and were on our way. I had always considered these treatments to be a gimmicky tourist attraction, but I have to admit that I felt very relaxed and my feet felt much cleaner and refreshed as we walked around the city after Kenko - happy to have experienced one of our "must-do" activities in Singapore. As we left, we also noticed that the spa offers free Wi-Fi - so don't anyone be surprised if the next time I'm attending a late night work conference call you hear an aquarium filter and the sounds of hundreds of feeding fish on the other end of the line. Anyone who influences the wine prices here. LOOK AT THIS PICTURE! This is what I'm up against for the next two years! Do you SEE what brand that is? No offense to Woodbridge, but S$35.70? That's the equivalent of $28 US dollars. For WOODBRIDGE! I could get a magnum for $11 at home! Okay, enough with the yelling. Just yesterday, Mercer released it's 2012 list of most expensive cities in the world to live. Singapore was ranked 8th. Compare that to New York City, ranked 33rd. Now I'm not complaining, as Jason's company treats us well, but sometimes it's just hard to comprehend when you just want to go out for a simple dinner. A glass of wine at a restaurant costs between S$13-$18, a beer about $12, but then they add something called GST (general service tax). This is another 7% on all goods and services. If you can find a bottle of wine at a restaurant for less than S$65, then please call me. We went to a great pizza place in Holland Village (Da Paolo's Pizza Bar in Chip Bee Gardens, in case you want to know) and our small cheese pizza was $18, the chicken/avocoado one was $28. Cooper's hot dog/fries was $12. So what can you do to avoid the high price of eating/drinking out here? You go to the local food courts, called hawker centers! For a meal and a pounder of Tiger Beer, you're probably going to pay about $7, or around $5US. I will save more info about hawker centers for another post, there is too much to say about them! You also listen to the advice of experienced expats to find out where the deals are. Let's take the "chicken man" for example. Meat is expensive in general here. I paid $12 for a pound of ground beef the other day. But I text the chicken man (I think his real name is Wei, but it's more fun to just call him the chicken man) and he shows up the next day at my house with 13.5lbs of perfectly-trimmed boneless chicken breasts neatly divided two to a bag for S$50 (about $40 US), including tax and delivery. Awesome! We eat a lot of chicken. Last I talked to the chicken man, he was taking a month-long vacation in the Philippines. Lots of people must love the chicken man! Now I just have to find the "beef man" and the "seafood man". And in case anyone in this country is thinking about drinking and driving, here you go....look closely...you might be caned. For real. **This was meant to be amusing. Jason and I aren't downing margaritas all day. No worries, family. Anthony Bourdain - you either love him or you hate him. I happen to love him, and was so excited to come across an episode of his Travel Channel show, "The Layover", on the subject of Singapore. Each episode focuses on how much he can do in a city in the short period of time he has on a layover, in this case about 24 hours. I highly recommend checking it out. In the show, a Singaporean states that there are three seasons in Singapore - hot, hotter and shopping. A truer statement has never been uttered. 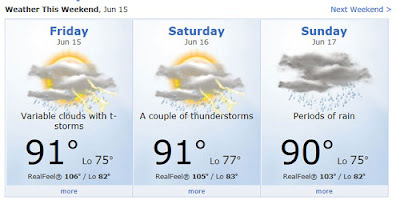 You've all heard me go on and on about the extreme heat here, mainly due to the all-consuming 100% humidity. The lowest temperature ever recorded was right about 70 degrees. But I'm not complaining. I will take the heat over the cold anytime. Surprisingly, it is rarely uncomfortable to eat at the open-air restaurants (of which most are). This is because they are all equipped with a ton of fans and shade. In fact, as I sit here drinking a cup of (hot) coffee outside on my balcony at 9:30am, I am very content due to my super high-powered ceiling fan. Thank you landlord! My kitchen food might as well be in a maximum security prison - everything is sealed in ziploc bags and Snaplock plastic containers. (chips and crackers do not fare well here). Mold is not your friend, people. Anyway, I'm not going to drone on anymore about the weather. You get it. I accept it. Case closed. On to the shopping season. I just can't even describe the atmosphere here. How a country 26 miles wide can sustain the sheer number of highest level luxury brand stores I will *never* understand. I know that a lot of wealthy people from China come here just to shop, but it is nonetheless mind-boggling. I googled the number of malls in Singapore, and the number 233 came up. I'm not sure just how accurate that is, but I'm willing to bet it's pretty spot on. Let's take a look at just how small Singapore is. The state of Delaware is 1,954 square miles. In contrast, Singapore is 247 square miles. So this country has almost one mall per square mile. Now take into consideration that the western and northern areas of Singapore are way less populated and you can only imagine how close in proximity these malls are. Many of them are even connected by underground tunnels and MRT stations! The most famous of the shopping areas is Orchard Road, which I happen to live within walking distance. Here are some pictures from one of my recent nightly walks. It was a Monday at around 9pm, and the streets were packed. It's like Times Square at night, but filled with mainly Prada, Cartier, Chanel and Rolex stores. At one point, I passed three Prada stores in four blocks, and those are just the signs I can see from the outside of the mall! Most malls have multiple stores of the same luxury brand. It's complete insanity. This country also has got to have the most sports cars per square mile. Everywhere you turn, there are Ferraris and Lambourghinis. When we came for our "look see" in January, we were driven by houses that had 6+ of these cars in the driveway. And almost all the same color! Note: I am now the Asia Correspondent for a new travel blog, Family Travel Diary. Check it out! Also, this post was a collaboration between me and Jason. People will tell you that Singapore is small and that you'll be eager to travel the rest of Asia out of sheer necessity, because it only takes you a few months to see all of Singapore. After three months, Jason doesn't find this to be the case and still thoroughly enjoys exploring the various towns, parks, etc. of Singapore. After some minor confusion, and a near Locked Up Abroad experience at the Changi airport (KLM failed to provide a required departure stamp on our boarding passes, which airport security didn't find humor in) we were on our way. When we landed, all I could think of was, "Where the hell am I?" The airport was honestly not very nice, and it was crazy crowded. However, the Visa-on-Arrival process was completely painless and we were quickly on our way to find our name on a driver placard outside the arrival area. In a sea of drivers we found ours and he led us to the pick-up area...where complete CHAOS ensued. Surrounded by friendly Aussies, also enjoying their holiday in Bali, we witnessed a melee of cars, vans, and motorbikes all jumbled together, each trying to drop off or pick up passengers. Bali is clearly in need of a new, more modern airport (which is under construction) - and at least one traffic engineer - to sort out the congestion and complete insanity of the arrivals and departure process. Many cars just pulled up, put on their parking lights, and the driver hopped out to go look for their passengers...all the while leaving 6-8 cars stuck behind them with nowhere to go. Somehow, our driver made his way to us, and masterfully picked the correct lane to get around this mess and leave the airport. It took only about 15 minutes for him to collect us and our baggage and get us on our way. Our driver, Jordan, was super nice, very chatty, and stopped at the local Circle K so we could get some beers. (And some Mad Dog and Boone's Farm. Oh wait...that was what we got from the Circle K at Wake Forest. Good times.) Instead, we picked up a couple sodas, Oreos, and Pringles (for the kids), and a mixed 6-pack of San Miguel Lite and Bintang (for the adults). Oh - and Jason picked up ice cream for himself and Sophia. He is addicted to those new "Magnum" ice cream bars. Let me talk briefly about the driving habits of Indonesians. Yes, there are lanes, and I *think* there are actual road rules. But no one seems to realize (or care) that they exist. In addition to the insane amount of cars on the road, there are 20 times as many motorbikes. Everywhere you go, it's like Bike Week, minus the tattoos, leather jackets and loud motorcycles. Rather, it's like a Vespa road rally where no one has a helmet, half aren't wearing shoes, and 50% of the time at least one child is standing in front of or hanging onto the back of the driver. Additionally, the bike riders seem to think that riding four bikes to a lane (those that recognize the existence of a lane) is an okay practice and overall it's just a free-for-all. Scary stuff. Thanks to Jordan's expert driving skills, we arrived at our hotel without injury. 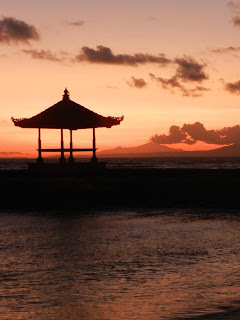 We stayed in an area of Bali called Nusa Dua, right on the Indian Ocean. The entrance to the Nusa Dua area includes a security stop, where the guards checked under the hood as well as the trunk. We passed (phew! - I was worried they would confiscate our six pack of Bintang!) and our driver dropped us off at the Westin Nusa Dua. After going through another security check (sadly, the effects of the 2002 Bali bombings are alive and well), we were greeted by the friendly staff and a lovely woman dressed in traditional Indonesian garb. While Jason was checking in, we were offered some fresh juice and the kids were delighted to receive their own Westin Kids Club "Adventure Bags". (They named the bags that, not the hotel.) All kids get this upon arrival, there is no additional fee or requirement to sign them up for anything. Included was a nylon bag, bucket hat (the kind Gilligan wore - and yes, I had to google what it was called), water bottle and make-your-own postcard kit. Also included was the incredible schedule of activities for the kids (more on that later). The water bottle can be used at any of the hotel restaurants (including pool) for free juice or soft drinks. I cannot tell you how much money that saved! Our room was on the ground floor, with a nice patio overlooking the pool, and just a few steps to the beach and Indian Ocean. The rooms are small, but that is normal for this region, including Singapore. Surprisingly, the bathroom was quite large though. Several bottles of water were included in the room each day, as well as the requisite slippers and bathrobes. (There were also condoms in the minibar area, just in case that is high on your hotel requirement list.) These are pictures of the bathroom from both sides. The shower is in the same room as the bathtub, with no barrier. You just shut the door take a bath or shower! It really is quite nice. We arrived at around 9pm, so we went to one of the hotel restaurants, Ikan, for a late dinner. Jason and I shared the appetizer for two (satay, spring rolls, etc.) which was excellent. We were first introduced to the local Indonesian beer, Bintang, at the previously discussed Circle K, and we continued with it at dinner. I have to say...and so sorry Singapore....but Bintang is SO SO SO much better than Tiger Beer. And it's so cheap here! Even at the hotel it was about $5 USD for a draft. (At the Circle K, it was like $1.50 a bottle!) After dinner, we let the kids run around on the beach under the lights and search for shells and crabs for a few minutes. No doubt Sophia was going to have fun on this vacation! So after some Bintangs to go (the restaurant staff were amused, considering room service is 24 hours a day), we tucked the kiddos in bed and sat outside and marvelled at our surroundings. The next day we got to see the hotel in the daylight - and wow...it did not disappoint. The landscaping was beautiful, the lounge chairs top-notch, freshwater and saltwater pools, a water slide, and a gorgeous private beach. We were in heaven. The first thing we did was hit the breakfast buffet, which at $15 an adult and $7.50 a child was a bargain. It was HUGE, offering everything from gourmet meats and cheeses to a fresh fruit juice bar, traditional Asian fare, made-to-order eggs, waffles, crepes and pancakes, as well as assorted pastries, cereals, fruits, breads...you name it, it was there. There was even a separate kids buffet with colorful plastic plates, chocolate milk and a scaled down version of the bigger buffet. Picnic tables and a flat-screen TV playing cartoons added to the kid vibe. After breakfast, we continued to explore. The Westin resort is one of several resorts along the beach in that area, and the trail is just beautiful. Lanterns hang from trees, and like all of Indonesia, there are temples everywhere. (not like churches, but more like what us Americans would consider shrines) Statues with sarongs, parasols and offering boxes are ubiquitous. We didn't know anything about anything when we got there, but asked our taxi drivers and they clued us in a bit. I'm in desperate need of doing some research to understand the religion (90% of Indonesians are Muslim - however most in Bali are Hindu). I will get on that right away! Friday night we had dinner in the Japanese restaurant, Hamabe. Since the kids had never had the experience, we opted for the Teppanyaki style dinner, although you could also have a regular sit-down dinner. My pickiest eater, Cooper, was not so into it at first. But thank goodness, he totally warmed up and we had a lovely dinner. It wasn't a flashy show, like some hibachi style places can be, but the food was plentiful and delicious. For the price (approx. $45 for adults and half that for kids), you had unlimited access to meats and fish including salmon, tuna, mussels, prawns, steak and chicken, and then of course all the vegetables, rice and soup included. It was a great deal. The kids wanted to go back the next night! Saturday, we went to the Waterbom Water Park in Kuta. Okay, okay, some of you are thinking right now...."They went to Bali and spent their time at a water park?" Understandable thoughts, but you would be wrong. First, it was Cooper's 7th birthday, so we wanted to do something we knew he would love, and second, it's just an AWESOME water park! The price is right and the surroundings and rides are great! You pay your entrance fee, but then put money on account on your electronic bracelet - a cashless system. Jason enjoyed the wristband - it reminded him of that horrible Justin Timberlake movie, "In Time"...for everything you wanted, you just scanned your arm and moved on. We rented a family cabana by the pool for about $20 for the day. It was great - gave us a homebase and somewhere to eat. Speaking of eating, the food was great! There were so many types of food to eat, and it was inexpensive and higher quality than any park of this type I've been to. I would highly recommend waiting until your kids are 7+ for the park, however. Cooper just made the height limit for most of the rides. (120 cm) There were things for the younger kids to do, but at Cooper's height, you could do it all. And he DID IT ALL! My children are daredevils and I love it! For a nominal fee (like $5 a kid), they can do the "Euro Bungy". They basically attach the kids to bungy cords and they jump on a trampoline - REALLY high in the air. It freaked me out a little, especially when both kids did somersaults, but not on purpose...but they both loved it. Check out these pictures! Jason thinks he's hilarious! Just down the Nusa Dua resort trail along the beach is a little area that is not a separate island, but close. Hopefully the pictures explain it better than my words can! Tide was low, which allowed us to walk way offshore through what can only be described as an episode of Blue Planet - Tidal Pools. Once on the little island area, it got a little nutty. Some poor landscaper was literally cutting the grass with a knife. There were several acres and he was just working on one little section. How is this possible??? It was a largely deserted area with little trails out to the cliff areas. Just indescribable. On the opposite end of our resort area was a little peninsula with a Balinese structure (ignorant as I am, I have no idea what to call it). It was so relaxing and the kids loved exploring the rock area. Jason got up early one morning for sunrise and took the most amazing pictures there. On Sunday, the kids signed up for the kids club. The Westin has great indoor and outdoor areas, complete with rock wall, trampoline, playground equipment etc. They have a full schedule for two age groups, 3-6 and 7-12, which goes from 9am-5pm and includes lunch ($25 a child for the day). Sophia and Cooper spent a few hours there, but unfortunately got bored. I'm not going to blame this on the Westin though, they were the only two kids in there at the time (the resort was not crowded at all). With the exception of adding some more toys for their age group, I'm not sure it could have been run any better. Unfortunately, after a few more hours at the pool, our short trip had come to an end. We were so unhappy to find out at the airport that our plane was delayed over two hours. But eventually we got home (to find our security guard asleep on the job). 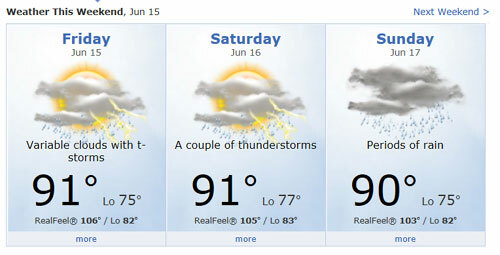 I have to say it's a lot easier to come home from a vacation when your residence is in a tropical climate. That feeling of dread is definitely diminished, but not totally absent. So what's a girl to do....plan the next trip! If you'd like a sneak peek, we're going to a tiny island off of Malaysia called Tengah Island. The resort, called Batu Batu, is the only thing on the island!